Caudon® produce a number of accessories for amphibian and reptile mitigation projects. 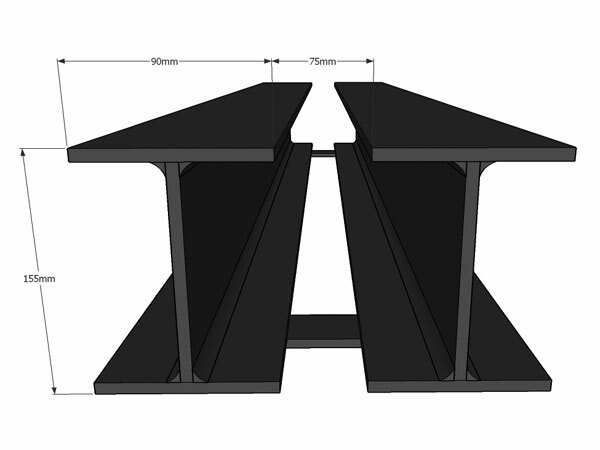 These are designed to form part of an amphibian or reptile fencing system or to work in conjunction alongside. Legacy Habitat Management have worked with a wide range of clients and ecologists, and have a proven track record of constructing water vole fencing installations on industrial sites, quarries, road build projects, housing projects, brown field sites and many other applications. 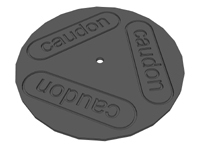 Caudon® washers are manufactured from polypropylene and are designed to be used with screws or nails when fixing Caudon® Temporary or Semi-permanent Amphibian & Reptile Fencing to the wooden stakes. 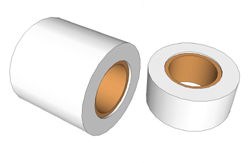 The washers provide a greater surface area for the head of the screw to prevent this from pulling through the fencing material. The Caudon® Clip has been designed specifically for use with our Caudon® Semi-permanentAmphibian & Reptile Fencing. 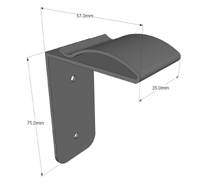 It provides a cost effective simple solution for holding the top-fold in position. The spring clip section of the Caudon® Clip is slipped onto the pre-scored top-fold section of the semi-permanent newt fence panel, folded down and then screwed to the wooden stake using the holes provided in the clip. 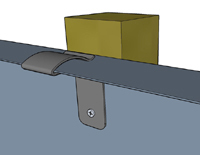 Diagram of the Caudon® Clip in use, showing how it is attached to the Caudon® Semi-permanent Amphibian & Reptile Fencingpanel and the wooden stake. 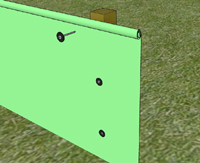 A pre-formed 90° corner piece designed to aid the construction of a right-angle corner in a Caudon® Permanent Reptile & Amphibian or Water Vole Fencing system. 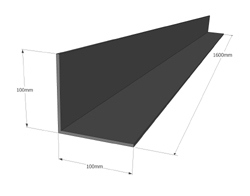 At 1600mm in length, one corner piece is enough for 2 Caudon® Permanent Amphibian & Reptile Fencing corners or one Caudon® Water Vole Fencing corner. Lengths can easily be cut with a saw. This polyethylene transparent tape has been designed to repair rips & tears in your temporary polythene newt fence. The tape is UV stabilised and age resistant for up to 2 years, and has excellent adhesive properties in all weathers. Other tapes such as duct tape have proven to not adhere well to polythene and not withstand exposure to the great British weather. The Caudon Newt Grid has been designed to enable the creation of amphibian and reptile proof access routes through newt fence barriers, without compromising the fence’s integrity. The Caudon Newt Grid works by creating a channel across the road or byway that newt trying to cross, or following the fence-line, enter the channel and can only exit at each end on the ‘newt side’ of the fence. The newt grid is suitable for use on construction site routes or other unregistered roads and when set into a concrete foundation can be made fully weight bearing to accommodate most site traffic and plant. For a highways specification newt grid, please refer to the ACO Stop Channel. Caudon Newt Grids can be manufactured in any length to suit your requirements.